Poster from Kevin Rodgers, OUT OF ORDER, 2012 McIntosh Gallery in London, ON. It’s hard to think of a better analogy for contemporary art practice, or at least a certain tendency within it. Watergate may be far from the concerns of contemporary art but the manipulation of contingent facts is often the way art gets practiced today. The characterization of art as a species of lying is long standing. The idea dates back to Plato. As a bulwark against the temporal nature of existence (which changes and ultimately expires) and the non-omniscient perspective of human beings, Plato posited another reality, one that was more real than the one mere mortals’ experience. It’s a schema that takes solace in the possibility of transcending the imperfectness and contingency of everyday life. For Plato artworks were non-ideal, mere approximations of their referents, if potentially seductive regardless. Today art trades in a subtle variant on this idea of art’s essential deception. Dispensing with the framework of the meta-physic, contingency is no longer a problem. Instead it represents the opportunity every artist engages with. With each instance of reception meaning crystallizes anew, which is why such a high value is placed on the actual encounter with the artwork. However, encountering an artwork provides no guarantee that meaning will derive from it. In the best scenario, contemporary art aims for a kind of freedom enjoyed by the spectator in the contingent moment of understanding. But it’s not a freedom easily won, and the reason for this is directly connected to the way art intermingles with falsehood. 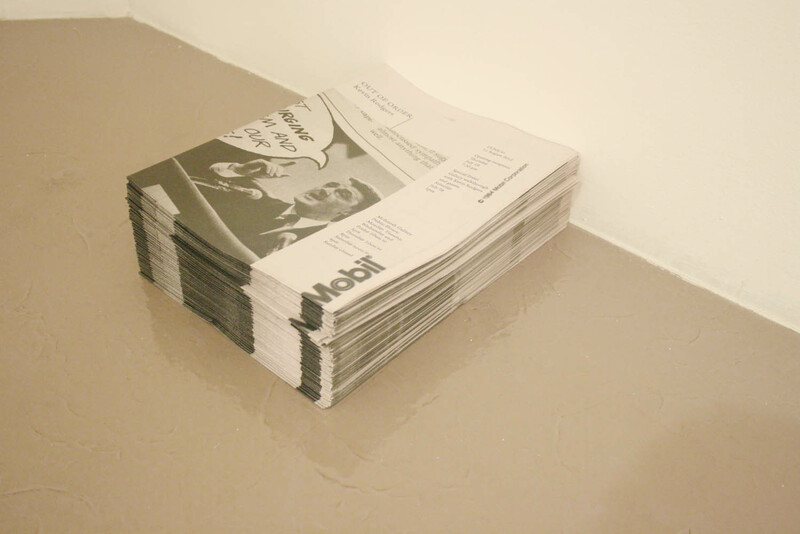 Installation, Kevin Rodgers, OUT OF ORDER, 2012 McIntosh Gallery in London, ON. Artworks similarly never come into conflict with reason. If a work defies logic it simply isn’t successful. It fails the demand that it be in some way interpretable. The best works of art are open-ended and susceptible to multiple interpretations. The onus placed on the viewer in this transaction accounts for the dissatisfaction about art often expressed by contemporary art audiences. Arendt gets at this idea when she says “factual truths are never compellingly true.” And the demand placed on the viewer is perhaps never greater, and meaning is never more elusive, than when artists present an assemblage of facts, things standing in for other things, with only minimal clues about how to grasp their intention. How do we access the meaning an artwork implies except through the hard surface of the facts presented? In the end, there is only this surface, a set of appearances held in tension with one another and, implicitly, held in tension with what isn’t there. The clues and lack of clues work together to create a kind of surface coherence, the edits or cuts becoming as important, as you will come to understand, as what is left in its stead. Commissioned on the occasion of the show, this text appears on the poster give away that accompanied Kevin Rodgers, OUT OF ORDER, McIntosh Gallery in London, ON, 19 July to August 11, 2012. 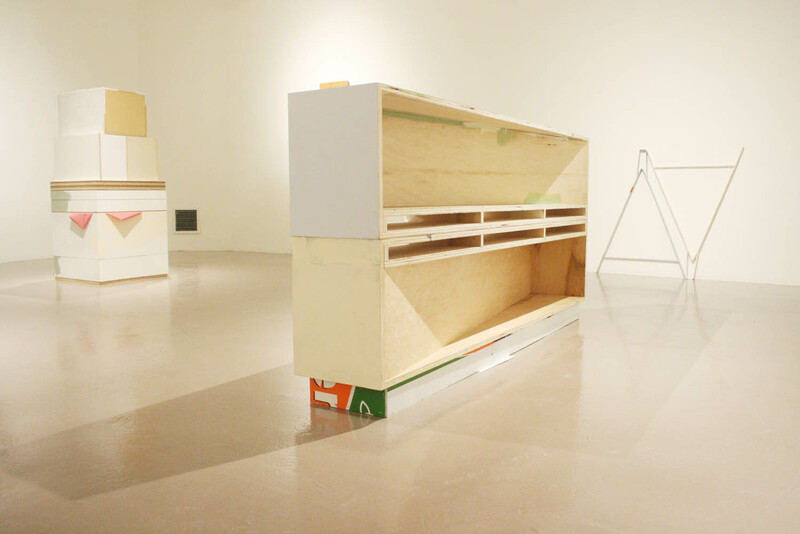 The exhibition was the culmination of the artist’s PhD research at The University of Western Ontario. More information about Kevin Rodgers work can be found here. You are currently reading Kevin Rodgers: Contingency Problem at Army of YouTube.